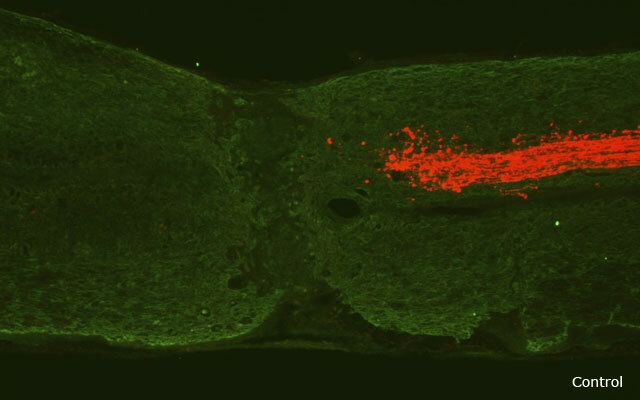 The three pictures below show a cross section of a mouse spinal cord that is stained green. 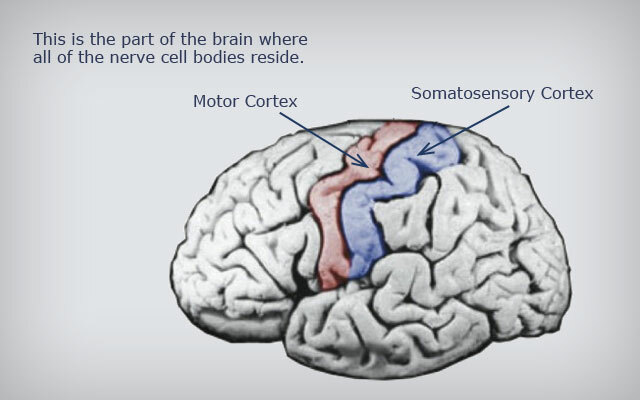 The head of the mouse would be to the far right and the tail of the mouse is to the left. 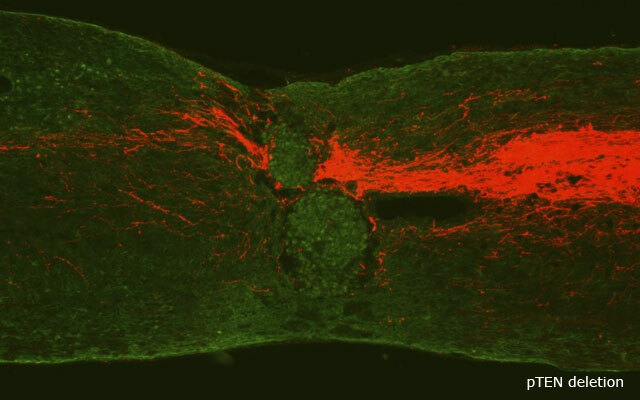 In the middle of the green stained spinal cord is a dark area, which is a spinal cord injury. 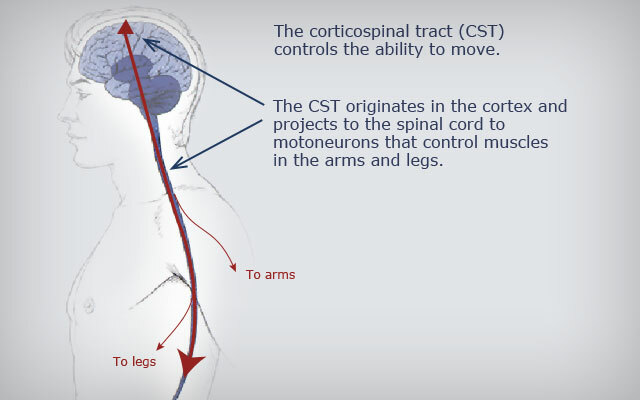 Corticospinal (CST) axons carry the signal that allows for voluntary movement. 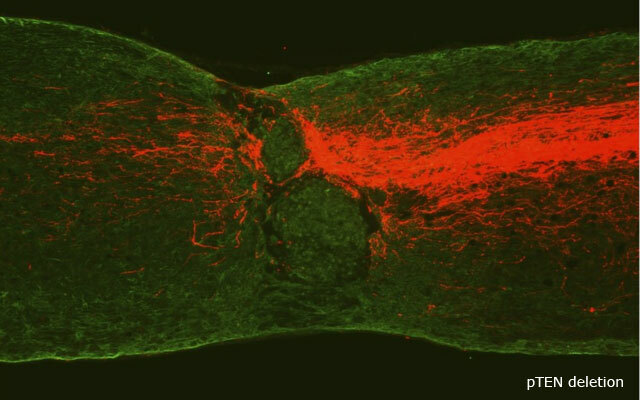 In the slides, the corticospinal axons are stained red. 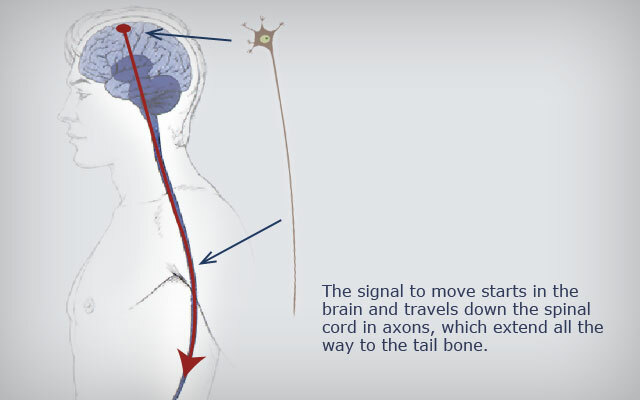 Despite a sustained attempt throughout history, neuroscientists have not been able to make the corticospinal axons grow any further than the depiction in the first slide. 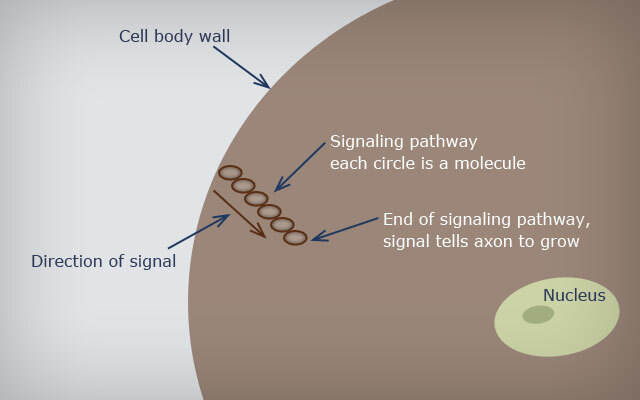 The dramatic growth of the CST axons shown in the next two slides had never before been achieved before this research. 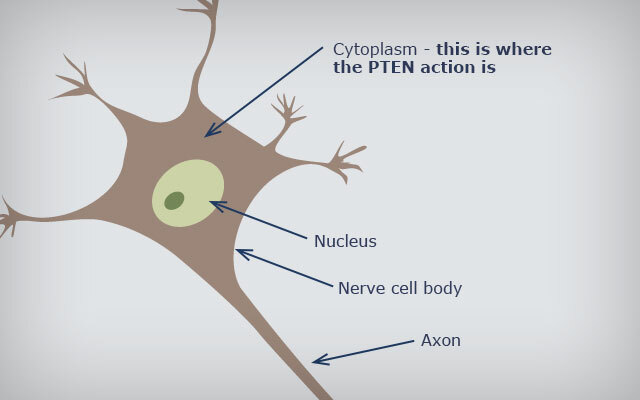 Here are some basics on the corticospinal tract (CST) and where PTEN, a naturally occuring molecule in the body that turns on to inhibit growth, fits in. Dr. Kai Lu, who conducted the original experiments in Dr. He’s lab, then went on to show that PTEN inhibition can enable regeneration of CST axons in chronic or long term spinal cord injury magnifying the potential market for this therapy. 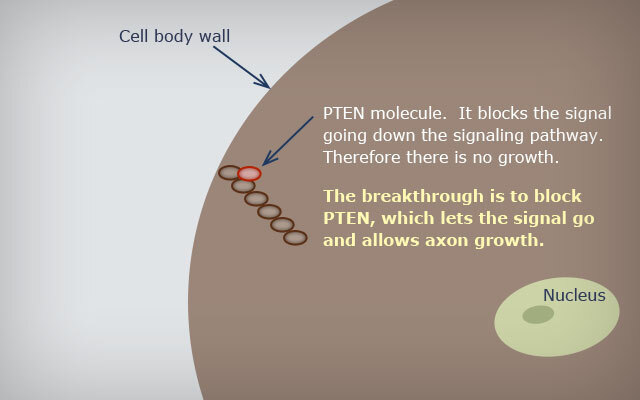 Further work has discussed PTEN inhibition therapy may be a useful treatment for conditions such as optic nerve damage, peripheral nerve injury, stroke, traumatic brain injury, Parkinson’s disease and in theory it may aid in the reversal of “normal” age-related neuronal deterioration. 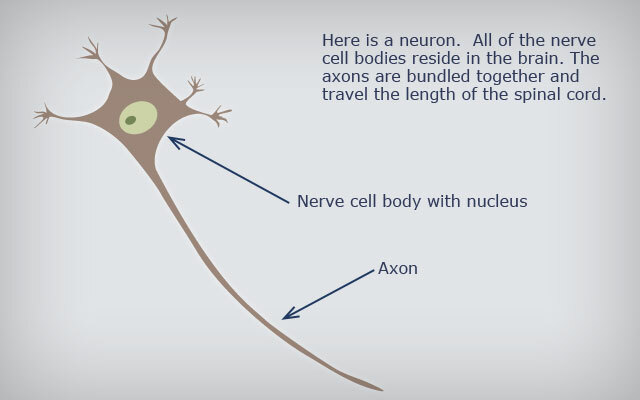 The dramatic growth of the CST axons shown had never been achieved before this research.